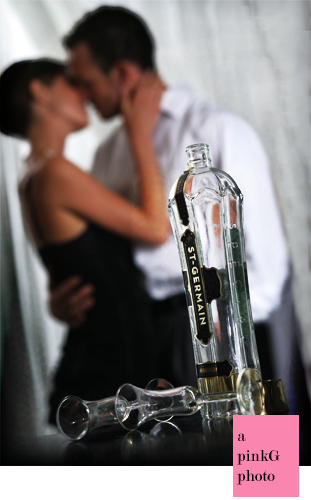 Your first taste of St. Germain Elderflower liqueur is guaranteed to surprise you. Initially, St. Germain is easy on the eyes; it has a distinctive bottle and a captivating canary yellow hue with a slight touch of green. But far beyond its attractive packaging, it is really the taste of honeyed flowers that puts St. Germain Elderflower on a very short list of elegant liqueurs. Made from hand-picked blossoms, escorted down from the Alps via bicycles, it is reminiscent of French Sauternes, but at a price that makes it easy to add to champagne, vodka (Imperia vodka perhaps), or gin (Hendricks). Mixology is fraught with dangers of cliche or eccentricity, but St. Germain is refreshing in its simplicity, distinctive in its palette, and flexible. A glass of St. Germain paired with Foie Gras would highlight its smooth richness. Paired with after-dinner truffles, the residual sugar and slight bite set it apart from the dessert while still remaining compatible. In lemonade or sorrel tea, it would be festive and refreshing. No matter how it is served, it is unique without pretension. For inspiration, consider that the bar at David Bouley’s opulent Danube Restaurant in New York City served St. Germain mixed with champagne as their welcoming cocktail. Looking for something a bit more exotic? Consider adding a touch of peach to make a new version of the classic Venetian Bellini. Enjoy! Here are some other ideas for incorporating St. Germain into your drink repertoire. pinkG would also love to hear your drink ideas. Post in comments below. More information……The St. Germain website has lots of ideas for tasty cocktails. And with a description like this one, how could you not want to try some St. Germain? For the DIY’s out there, you can make your own elderflower syrup, and be sure to let us know how it turns out. The less industrious of us, well we’ll just sip and have a look at the Danube.